One of my favorite gifts to give for the Holidays is something from my kitchen. Who doesn’t love food? It may be something I make myself, or a gourmet favorite I purchase. 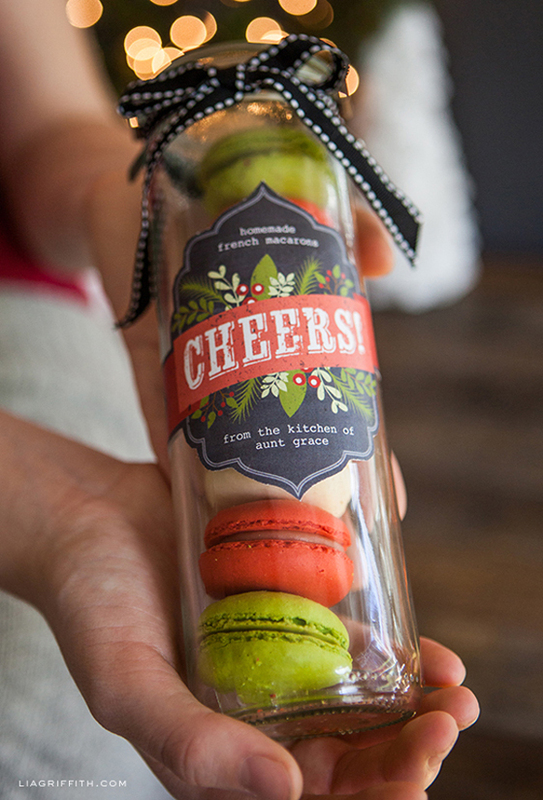 Either way, foodie gifts are something everyone can use. 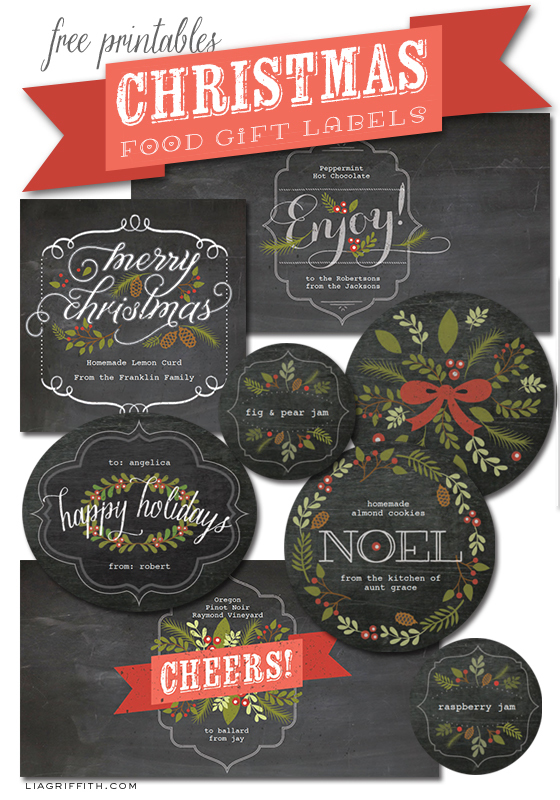 For this year’s food gifts I have designed a set of chalkboard style Christmas/Holiday labels to coordinate with the Fall set I shared with you last week. So glad you like them Christina! Thank you so much for sharing these beautiful labels! I took the Noel labels to Office Depot and they printed three sheets of the whole-page labels for less than two dollars! They have added so much to my jars of ketchup and ale mustard and I can’t wait to give them as gifts. That is great!!! and sounds yummy! Thank you for sharing these wonderful labels. 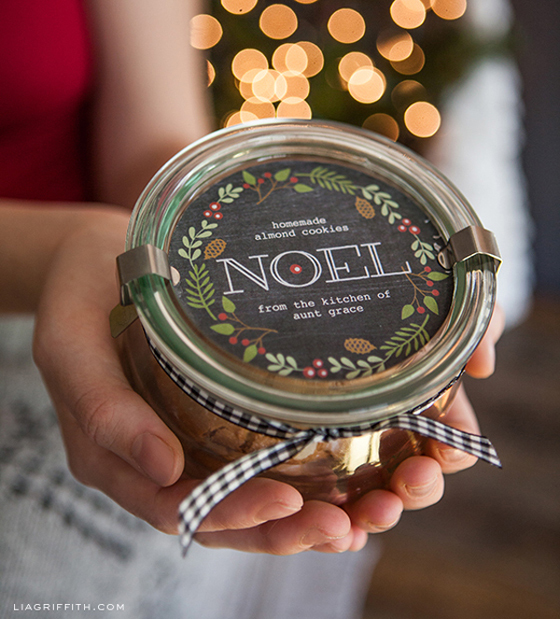 I have scaled down the Noel label to 60% so they fit on a 8 oz mason jar lid, however when the labels print, I only get 6 labels to print on my 8.5×11 sheet of sticker paper. 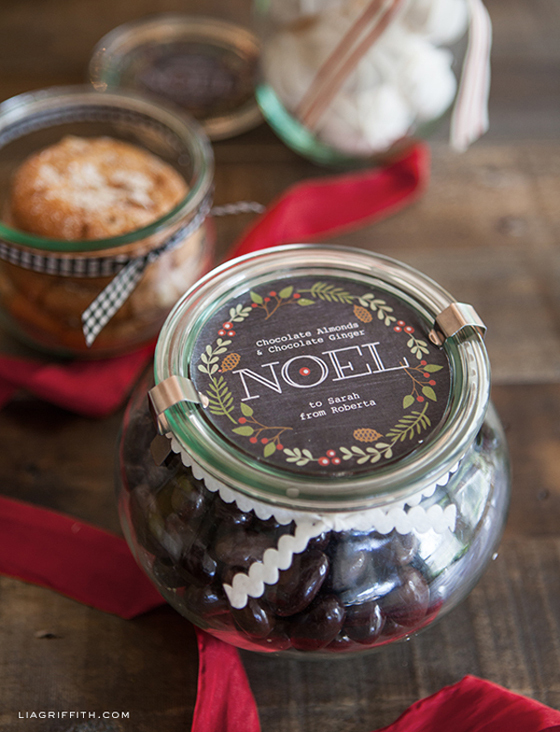 Any suggestions on how I can get more Noel labels to print per sheet? Without seeing it it sounds like someone would have to redesign the original file. Thank you for sharing these cute tags. Just want to say thank you for sharing your gorgeous christmas food labels. I love them and will use them for food gifts I will make this year. I have also shared them with my blog readers, as I wanted more people in Sweden to find out about you. My blog is: http://www.matikvadrat.se (in Swedish though). Hi Christine, Lia asked me to answer in her place since I am Swedish:) Thank you so much for sharing Lia’s projects in Sweden! Du har en jatte fin sida, ska absolut rekomendera den till mina svenska kompisar. God Jul! Hi Lia I’m trying to download your amazing labels however I keep getting an error message “This page cant be displayed” is there a problem with the page? Thanks for your great work! Seriously you are a timesaver/lifesaver! I just sat down to make my Christmas cookie dough gift labels and voila, I found these. THANK YOU! They are so beautiful and perfect! Merry Christmas to your and yours! so we can use them for our purpose??????? Is there a way to omit your names???? Yes. If you look at my directions you can see that you will need to download them off your browser window onto your computer. Once there, open in Adobe Acrobat or Reader (the free version) where you can add your own names or delete the placeholders and hand write. Does this make sense? Thanks! I’ll definite download these amazing labels. Just in time for Christmas! I have never printed labels before. How do I or where do I get the stickers to print on? Your office supply store has full sheet labels that you can print on your inkjet or laser printer (box indicates which printer). These are gorgeous – thank you so much and have a very special Christmas. Thank you, hope you also have a lovely holiday season!! These are amazing. Thank you. I will be using them this year for my homemade Kahlua! You are talented! These are beautiful. These labels are very cute. I will be using them for my Xmas gifts this year. One question..is there a way to size down the Noel label to the size of the jam label? There is a scale option when you print that you can use. It is under the option tab. I will be using these labels this year but need to know one thing! Where do you buy your jars? I found the website for them but wondered if you had a wholesale or discountsite sisince you seem to have so many… tia! I actually just buy them at my local supply store called Portland Homestead Supply. They do sell them at Crate and Barrel as well. Gorgeous!!! Can’t wait to use next year. Which World Label paper do you use? Round 3 inch or 2 inch for jars? Or, if printed on full sheer adhesive how do you cut neatly? Thanks so much for sharing! I like to use the full sheet white labels (not sheer) then cut them by hand or with a circle punch. It is so hard to line up with the pre cut circle labels so this is my best option. Lady, you are so generous. Thank you so much. I appreciate you very, very much. I will be happy to show you pictures of my canning and the food labels. Thanks so much for sharing your beautiful design, Lisa. I printed of a few of them and they really made my homemade gifts look pretty and polished. I hope you have a blessed Christmas and a Happy New Year. That is great to hear! Have a wonderful holiday. Hi Jere, hope I am not to late to respond. You will need to download the label PDF onto your computer and open it in Acrobat Reader. There you can put your own names on the labels or if you want them blank, just replace the text with a space. Let me know if you need any more assistance. WOW!!! Thank you so much for sharing you amazing talents with us! This is just what I was looking for! YOU saved me a lot of time! I really appreciate it! So great to hear Tami!! Thank you so much for these beautiful labels! They look amazing on my homemade hot pepper jelly jars! Can’t wait to print your wrapping paper and tags. I love the chalkboard look. These are beautiful and just perfect! I can not wait to try them. Thank You!!!! Beautiful labels, I’ve already printed some but was wondering if Avery sells any round stickers that I could use for the mason jar labels (page 6)? These are not set up for pre-cut labels. Sorry. Thank you for sharing these! They are truly lovely. Thank you SO much, these labels are absolutely beautiful and make everything big and small look fabulous. You’re a label genius! So happy you enjoy them Fabiana! 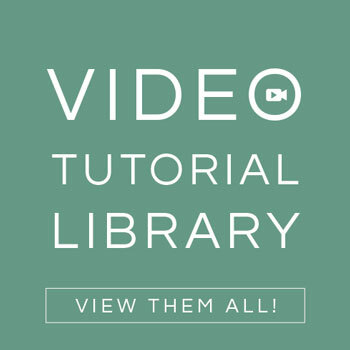 Thanks you for the incredible ideas and resources on your blog!!! 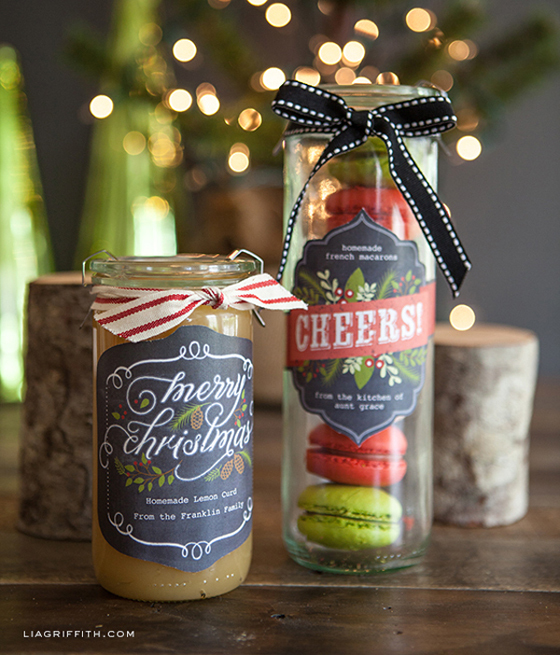 I’m interesting in using your printable Christmas labels and weck jars to make gifts of loose tea. Which weck jar and coordinating label would you use for this? I would pick the size and shape that most inspires you. There are so many to choose from. The labels are in both a large and smaller size which between the two work on most. They are so cute..Thank you.. These are wonderful! Are the bigger circles a quart size mason jar size? Thanks! You can use them on wide mouth jars for sure. Thanks so much for sharing! Your artwork is beautiful. Thank you so much for sharing your beautiful labels. My Christmas gifts are usually handmade and these will make my cookies and candies extra special. Thank you for sharing! 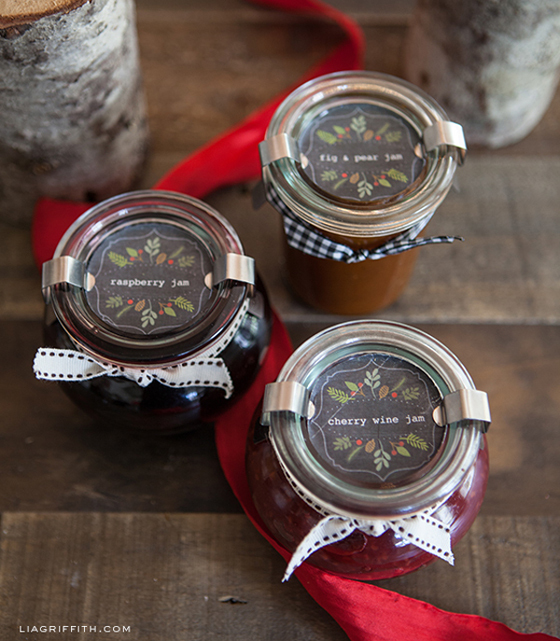 What is the best product to use to adhere the labels onto the glass jars? I printed on the white matte paper recommended by Worldlabel.com, but unfortunately it is not a label. You can use spray glue or double stick tape if you don’t have label paper. these are awesome! thank you soo much! and merry christmas! Hi Lia! I absolutely love your label, but I’m having big trouble downloading the file, do you maybe have a version for photoshop? Thank you in advance! You can place the PDF file into Photoshop as it will convert. If the file is not downloading for you from World Label, contact them and I am sure they can work out the bug. Those labels are gorgeous!!! You are so talented. Also very generous to share with us. Thank you! Thanks Tara! I am posting a kid’s version on Friday. Sorry – meant Lia, not Lila in my last comment. Love the labels and thank you for allowing them to be shared. However, when I click to download, I only get the first page – Merry Christmas – the other 6 pages are blank. I do have Acrobat. This is a large file so you may need to give it just a minute. The chalkboard takes a lot of space. Thanks for the free labels. These are to be printed on white paper, is that correct? That will take a lot of black ink. (ink is so expensive) Was hoping that it could be printed on black paper so as to not use so much black ink. Yes, well unfortunately ink does not print onto black paper. It would be like using markers on black paper, they just don’t show up. My best suggestion is to take it to a FedEx Office and have them print on their laser. It is only about 60¢ a page. I love your labels! Thanks again for sharing. Just so I am clear, if I send this to Fedex do I need to purchase special chalkboard labels? Or will the standard white labels print out exactly as your photos above? Yes, you have them print onto white full sheet labels. The chalkboard is part of the design. Enjoy! Hi, your job is amazing! I’d like to know what ‘s the name of the font which you use on ‘cheers’ and ‘christmas’ or maybe if it’s free, where I can download it. Thank you so much for your answer! These are so beautiful and inspirational! 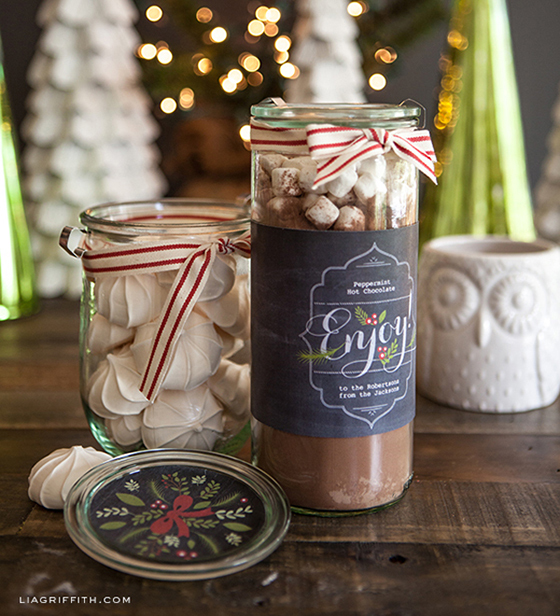 Thank you so much for sharing at our mason jar holiday party!!! Thanks Linda. Funny, I think someone else submitted my post to your link party. I am happy they did!! These are the most beautiful labels I have EVER seen! Thank you SO MUCH! Awww, thanks Lynette. You are too sweet. More of this style coming today. Adorable! 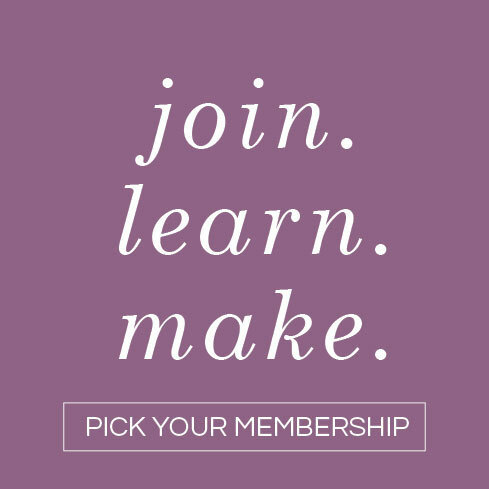 How do you change the wording on the printables? It doesn’t seem to allow that to be changed. As I mentioned in the post, you have to download them and open them from your computer in Acrobat. They will not edit in your browser window. Let me know if that does not work for you. Such a cute idea!! But where in the world do you find such cute and unique jars?? Thank you so much for creating these! I love them and will put them to good use next month! I keep getting a 404 error when I click on the link to download the labels. Can you help?? So sorry Jenelle. The host let me know his site is down so they are now available here. Just use the button at the end of the post and let it upload to your browser window. You can then download to your computer. Enjoy! You are welcome Janelle. Happy you like them! The host told me this morning that his blog is down, so I have attached them here and they are ready for you to download. Enjoy! These are amazing and I so badly want to print them, but are they still available the download just keeps saying server error and wont bring them up?? I have been trying to access the free printables for Christmas and I keep getting a no access to this website error message. Help- your site is awesome and I would love to use these labels..
Hi Claire. The host site is having issues so you can now just download them from my site using the button at the bottom. They take a minute to load once you click. Please write a book and then go on tour so I can meet you in person and see you in action making your beautiful paper flowers! I found you through Pinterest. Thank you for sharing these. I can’t wait to use them. More lovely things. 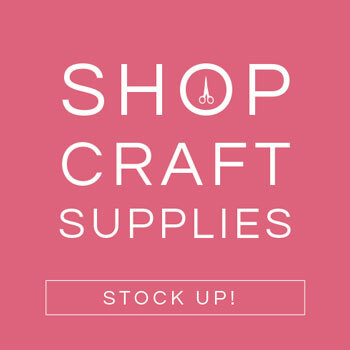 I want to make goodies for Christmas just to use your gorgeous labels! Happy to inspire! 🙂 I will have more Christmas labels, tags and wrap coming right up! These are beautiful labels. Thank sooo much for sharing them! So happy you like them too!! Dear Lia, I’ve just shared on my blog how much I love this beautiful art work you’ve created. Hope you don’t mind – I’ve shared it giving you all the credits! It is everything absolutely perfect and sooo sweet! Thank you so much for beig beautiful, creating beauty and sharing it generously. You’ve brightened my day. That is great Raquel! Thanks for sharing! Dear Lia, these are so beautiful, thanks for share. You are so welcome Ana! Hi Lia, thank you so much for posting. I tried using page 7 but it only lets me edit once and automatically fills the rest of the labels on the page (Thanksgiving version). Is there a way to address them individually? I have several containers the same size but different contents and for different people. Hi Naomi, sorry it took so long to get this fixed but it is ready now. The page 7 has unique text fields for each label. Thank you for sharing! These are so charming – elegant yet warm and homey. They will be perfect for my cookies (I send them everywhere!) and the chutneys I’m trying this year. I hope you have a wonderful Christmas and holiday season! I love the labels and will be using them for my homemade caramels. Do you sell your clip art? I would love the leaf, berry, and pinecone etc. for future projects. Could you point me in the right direction? Hi Emily Jane. I don’t really sell the clip art, but I am going to be using this theme for another project or two of free printables this Christmas. WOW – just found these on Pinterest and I am beyond excited! Thanks SOOOOOO much for sharing these gorgeous labels! Have a wonderful holiday season! Thanks Marcy! You too!! I will have more Christmas printables soon, so stay tuned. Lia, Your work is just beautiful! How sweet of you to share it with us lesser-talented folk. Have a wonderful Christmas in 2013! Thanks Brown Eyed Baker! And so good to meet you! Maybe I am not as advanced as your other readers, but I am wondering….how do I change the text on the labels? If you download the PDF onto your computer you can open it with the free software called Acrobat. Once open you can see the text fields that you can change. Hope this helps. I actually figured that out once I updated my computer. 🙂 Thank you though for the reply. The chalkboard is part of my design. You only need blank white full sheet labels or you can also print onto white paper and use double stick or spray mount. So happy you found these too. These labels are beautiful. They are so “my style”. Love them. Thanks! Omg this is perfect ^_^. 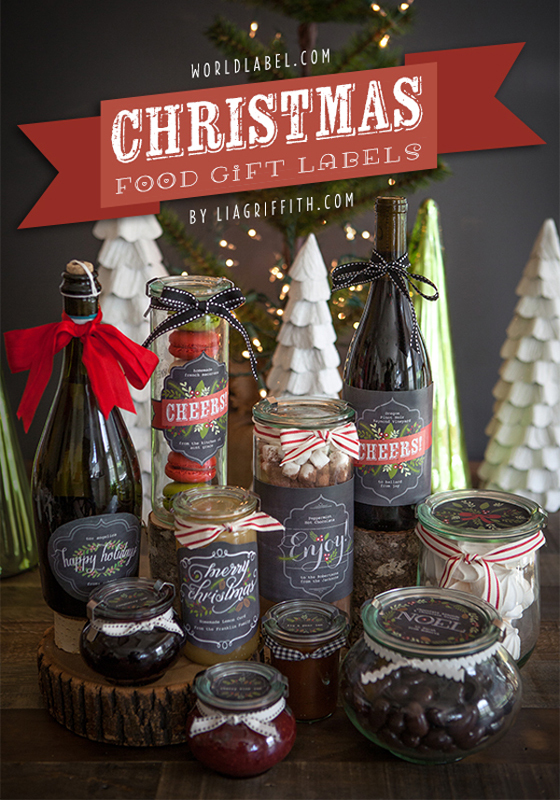 I have plans to give foodie gifts this year and these labels are beautiful. Thank-you for sharing them! A perfect Christmas gift for gourmets! Hi Tina, I just double checked and it seems to be working fine. The wide button at the end at the post will take you to blog.worldlabels.com where the PDFs are being hosted. There is a matching button there. WOW! These are beautiful! I am so excited to use them on my Christmas treats! Thank you for this amazing gift. I found a new blog too! Can’t wait to start exploring your site. Gorgeous! Thank you so much, you are a lifesaver! I LOVE these! I can’t wait to use them for holiday goodies, except it won’t let me download. Any chance you could email it to me?? Hi Wendi, It looks like the blog.worldlabel.com is giving an error. I have alerted them. In the meantime, I will email. Hi, I love the labels too. Would you be so kind to emaile them to me as well? Thank u! Hello Hella, You can use the link at the end of the post to take you to the blog.worldlabel.com where you can download it there. Thanks. Thank you for your generosity in sharing your amazing talent with those of us whose so appreciate your gift and whose own ability is stretched by downloading, changing the wording and printing your lovely work. I have used your projects at least half a dozen times and they always turn out wonderful. THANK YOU! 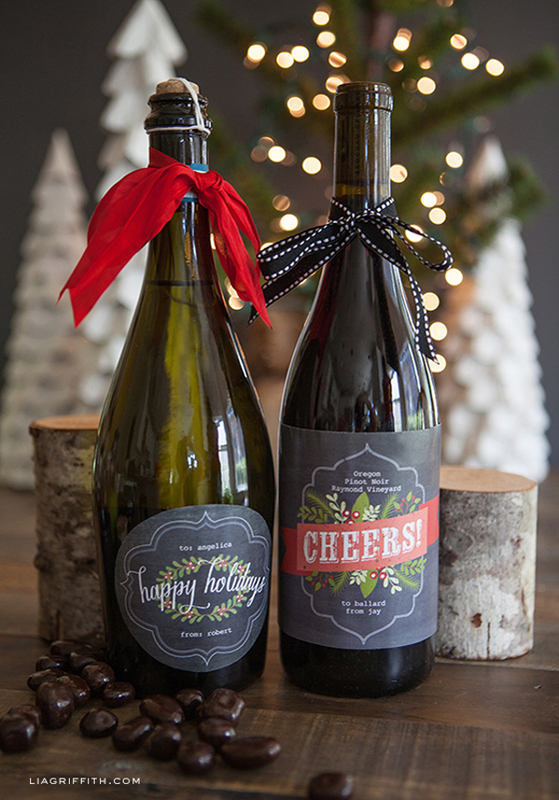 Oh, Lia, you’ve made me swoon…I am actually rethinking my homemade holiday gift plans just so I can gift these gorgeous label designs! Thanks for allowing the rest of us to look so classy and creative! Just went to Weck to see what sizes (3) are available in the little round bottom jars. So cute. Oh boy do I love those and so many of the others, great variety of choices. Will be ordering some of those first chance I can. So glad you told us where you got your jars. They make them in such pretty shapes. I use them for my bath salts and to put my pencils in, so very useful indeed. Thank you once again Lia for the excellent labels. I might change what I give this year and try to find some kind of foodie thing instead. Would be easier than what I usually do, make many many paper ornaments to give, then have to get them mailed out. 2009 I put off having my knee replaced another week so I could get my ornaments made and ready to send on time. Hubs mailed them for me after he left me at hospital. It was already 12/14 so they needed to get sent. I always love giving food gifts. The Weck Jars are such a great find. I still like regular mason jars for gifts too. Thank you! These are so beautiful, thank you for the wonderful gift. Yes, you are so welcome! These are so awesome Lia!!! Thanks so much for all the amazing free posts these last few months!!!! Tried leaving a post on the Halloween stuff but it wasn’t posting my comment, so thank you for those too!!!! I’m doing all homemade gifts for Christmas, so this is going to be perfect!!!! Where did you get the cream/red ribbon? Can you please let me know the name of the ribbon style too (if you remember)? Thanks again!!!! You are so talented! Thanks so much for the labels! You are a blessing! These are amazing! You are so kind to offer them as a free printable! I’ll be using them for sure! Thanks Melissa! I am very grateful to World Label for hosting (and sponsoring) these too. These are so beautiful Lia! I always love your creativity and style!